Customized Sandblasting Clear Glass Flame Shape Crystal Plate Trophy Award For Souvenir Gift. We are the best quality crystal arts and crafts manufacturer in China. There are more than 10000 products available, with high quality, novel designs and elegant appearances. We are confident that you will be fully satisfied with our way of doing business and excellent of the quality of our products including reasonable price. Custom Made Globe Engraved Blank Glass Rectangle Crystal Plaque Trophy Award. It suitable for different games,awards,meeting,graduation and other occasions. We sincerely hope to enter business with the clients from all over the world. The specific time according to the order quantity and final design. We will refund when you place the formal order according to sample cost and the total amount of the order. 6. Can you customize the products as per our requests9 Yes, we offer OEM and ODM services. a. All customers are warmly welcome to visit our office, show room and factory. is located in Pujiang County, Jinhua City, Zhejiang Province. We thrive on excellent quality and consumer satisfaction. We certainly take responsibility for our actions. Customized order is available, we can do any design as you request. We are a professional crystal manufacurer who have been engaged in this area for above 10 years. Our main products are crystal candle holder ,crystal blank block, crystal 3D laser, crystal trophy, crystal paperweight, crystal keychain, crystal candle holder, crystal office decoration, crystal wedding gift and your design is also Supplying good quality, reasonable price with best service is our aim, which helps us win many regular clients. 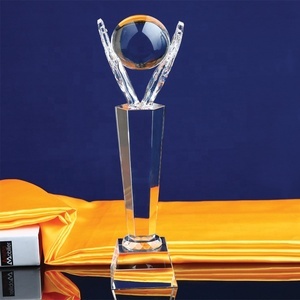 Alibaba.com offers 10,824 custom crystal glass awards products. About 93% of these are crystal crafts, 15% are carving crafts, and 1% are metal crafts. A wide variety of custom crystal glass awards options are available to you, such as trophy, medal, and block & cube. You can also choose from music, sports, and mascot. As well as from souvenir, home decoration, and business gift. And whether custom crystal glass awards is folk art, antique imitation, or nautical. There are 10,869 custom crystal glass awards suppliers, mainly located in Asia. The top supplying countries are China (Mainland), Taiwan, and India, which supply 99%, 1%, and 1% of custom crystal glass awards respectively. 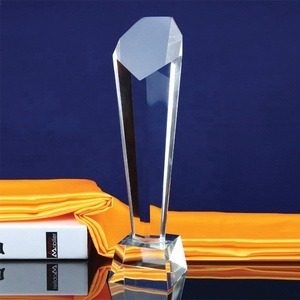 Custom crystal glass awards products are most popular in North America, Western Europe, and Mid East. You can ensure product safety by selecting from certified suppliers, including 809 with Other, 345 with ISO9001, and 2 with BSCI certification.